Anyone who has recently seen A Star is Born or Bohemian Rhapsody is likely to tell you about the compelling emotional quotient of the movies, and the goose bumps that involuntarily arose when the singers did their thing. Both music and movie fans surely won’t be able to wait for the Elton John biopic coming out this winter! With the rapid rise in popularity of such movies, there is a wonderful knock-on effect worth mentioning… the amazing costumes that go with them! Never have the people been more inspired to dress up as Freddie Mercury or get their GaGa on. Seeing the singers (and actors) in all their glamorous glory is more than encouraging. So what are you waiting for? Pick a movie, throw a themed party and make the absolute most of this wave of excitement! 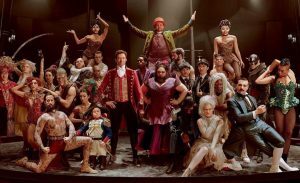 With an intriguing all star cast including actors Hugh Jackman and Zac Efron, and UK singer Rebecca Ferguson, The Greatest Showman is a truly original musical. The Greatest Showman is a 2017 American musical film about Barnum and Bailey of the Barnum & Bailey Circus, also known as the Ringling Bros. It was a traveling circus billed as “The Greatest Show on Earth”. One of the greatest things about this movie is the epic costumes. Circus glamour wows alongside the awe-inducing music. Let the movie inspire you to throw your own circus party, with ringmasters, showgirls of all kinds, calamitous clowns and bearded ladies. It is really hard not to like ABBA, no matter your generation. They are absolutely brilliant, and the movie helps you relive all their wonderful music. 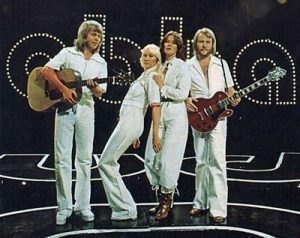 Basically it’s a film that’s based on a play, that in itself is based on the music of a Swedish pop group from the ’70s. See? There is even a sequel ‘Mamma Mia -Here we go again” the new movie is naturally looking to capitalize on the success of its predecessor, one of the most successful musical films ever released, and it’s once again relying on the music of ABBA to do so, with a stellar performances from Cher singing ‘Fernando‘ thrown into boot. Recently released Bohemian Rhapsody took the world by storm. There aren’t many people out there who don’t love Freddie and the gang, and the movie was absolutely spellbinding. 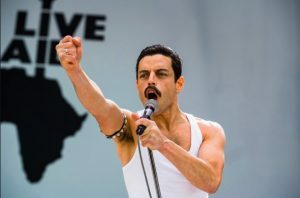 Acting by Rami Malek was something else; he really portrayed Freddie and his quirks well, and the musical performances are practically indistinguishable from the real deal. It would be a real shame to miss this one, but an equally real shame to miss dressing up as Queen and throwing a party to remember! Do you want to break free? Then do so in Freddie’s trademark white vest, flares and moustache! Brian May’s curly wig is also iconic. 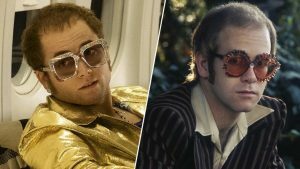 This Elton John Biopic promises to give Bohemian Rhapsody a run for its money, and that’s a real compliment to Rocketman. Elton John is another iconic musician and again, it’s hard not to adore his music. Box offices are probably rubbing their hands together in glee over this one! 70-year-old Elton will have his life and breakthrough years portrayed in the movie, due to be released on 31st May… and an interesting portrayal it will surely be! Not many musicians have led as colourful a life as Elton John, and his clothing style would be at home at any costume party. Steal the show at your shindig by rocking up as Elton himself. Perhaps you could even have an ‘Elton off’ with your friends. 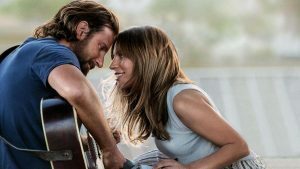 Musician Jackson Maine (Bradley Cooper) falls in love with a struggling artist called Ally (Lady gaga), who is giving up on her dream of being a singer until Jackson comes along. While Ally’s career takes off, their relationship starts to break down while Jackson fights his demons. Gaga is amazing as Ally, and her performances are mesmerising. In fact, Lady Gaga is receiving a lot of spotlight in her own right, with a documentary about her life recently released on Netflix. Why not throw a Gaga party and go Gaga in your own right? Her costumes are known all around the world for being as wacky as they come… there’s so much fun to be had in that! Pitch Perfect is an American musical comedy film series created by Kay Cannon, based on non-fiction book Pitch Perfect. The first movie starts with Beca, a university freshman, joining The Bellas all girls singing group at her school. The Bellas give their male rivals a run for their money in a campus competition, and the story is enough to hook you in for many movies to follow! 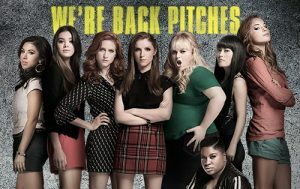 In fact there are rumours of Pitch Perfect 4 in the works. Proving that we really do love a musical movie. So don’t miss the next musical movie, and don’t forget to let them inspire you to have as much fun as possible in costumes as memorable as the movies themselves.